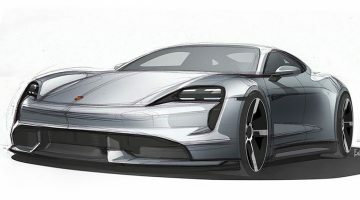 Porsche will be expanding its 911 Carrera line-up with a new model designated Carrera T. Inspired by the 1968 911 T, this new 911 variant is designed to offer a more focused driving experience than its Carrera and Carrera S siblings, without the six-figure price tag and exclusivity of the more serious GT3. The Carrera T shares its 3-litre flat-six turbocharged engine with the standard Carrera, producing 365bhp and a stout 332lb ft of torque. Addressing one of our criticisms of the current 911, the Carrera T features a 7-speed manual gearbox with shorter gear ratios, bringing down the Carrera T’s 100kph sprint to 4.5 seconds, a tenth faster than standard. Those not interested in a manual can still specify a PDK gearbox. But the Carrera T’s extra focus and performance is not just down to the modified gearbox as it also inherits some GT3-style weight reduction, such as thinner rear and side glass and the option to delete the sound system. Peer inside and you’ll also spot the fabric door pulls, some bespoke textile sports seats and colour-matched stitching in one of three shades. The result is a kerb weight of 1425kg, some 20kg less than the standard Carrera. Porsche will also offer the same “full bucket” seats available on the GT3 as an option, another feature denied to buyers of other 911s. Standard on the Carrera T are PASM Sport adaptive dampers with a 10mm drop in ride height, the Sport Chrono pack and Porsche’s Sports Exhaust system with centrally mounted outlets. Four-wheel steering can be added as an option, and a mechanical limited slip diff is another standard fit item. To the untrained eye, the Carrera T will probably slip under the radar visually, with the only bespoke external styling features being agate grey detailing and a deeper front splitter. 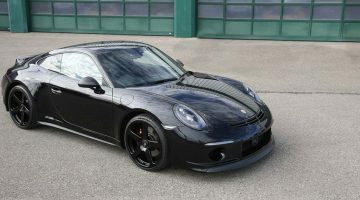 The T is otherwise just like a normal Carrera, save for the standard fit 20-inch wheels and optional graphics package. Porsche has priced the 911 Carrera T at a tad bit over the standard Carrera. Specify a standard Carrera to this level and even without the bespoke components and PASM (which is not available on a standard Carrera), you’ll be over the $103,150 basic price anyway. Available to order now, the Carrera T will reach customers in January of 2018. 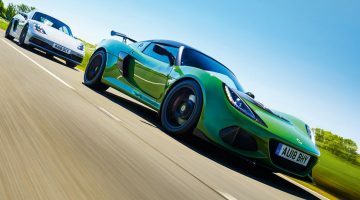 Porsche Cayman GTS vs Lotus Exige Sport 410 – which killer coupe will land the knockout punch?